Amy lives in California, but her mom recently moved to Connecticut with her brother for his rehab. Amy hasn’t driven since her dad died and can’t drive across the country by herself. Roger, a friend from Amy’s childhood, comes along, per request of her mother, and they start their roadtrip. They immediately get off track and that’s when the epic detour begins. They go to Yosemite and on the Lonliest Road in America. They sleep in sketchy motels and Wal-Mart parking lots. Roger is chasing after his ex-girlfriend because he thinks he’s in love with her. 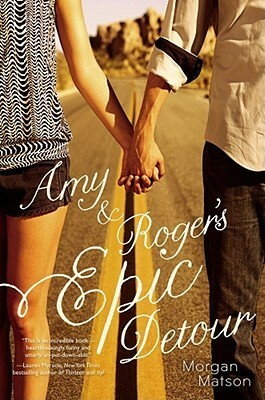 Roger and Amy meet amazing people on their cross-country journey and eventually find the perfection in eachother. I liked this book, but I didn’t love it. It isn’t a new favorite, but it was a cute story. I really like roadtrip books and I like knowing all the places they’re talking about. I enjoyed reading this, but I didn’t enjoy the ending. It was kind of a depressing end to a happy book. Amy is a good character, but she is really goody-goody at the beginning and then almost completely disregarding everything her mom says by the end. It was an unnaturally fast change. Roger is a cool character but I didn’t like that the only reason he went was because he was chasing a girl. He was a nice gy by the end of the book, but I just can’t get over that he was chasing his ex-girlfriend. It was really irritating, actually. I love that they knew the favorite drinks of one another, and I also loved that they had nicknames for eachother. I think I would choose to be Amy. She’s a little messed up, but she’s a genuinely nice person. I don’t approve of some of her choices, but I think she’s a good character. My favorite thing about her is that she was good-two-shoes at the beginning, but by the end, she was a little more rebellious. Again though, the switch was kind of abrupt, but I still enjoyed her as a character. When Clary Fray heads out to the Pandemonium Club in New York City, she hardly expects to witness a murder. Much less a murder commited by three teenagers covered with odd markings. This is Clary’s first meeting with the Shadowhunters, warriors dedicated to ridding the earth of demons–and keeping the odd werewolves and vampires in line. It’s also her first meeting with gorgeous, golden-haired Jace. Within twenty-four hours Clary is pulled into Jace’s world with a vengeance, when her mother disappears and Clary herself is attacked by a demon. But why would demons be interested in an ordinary mundane like Clary? And how did she suddenly get the Sight? The Shadowhunters would like to know…. 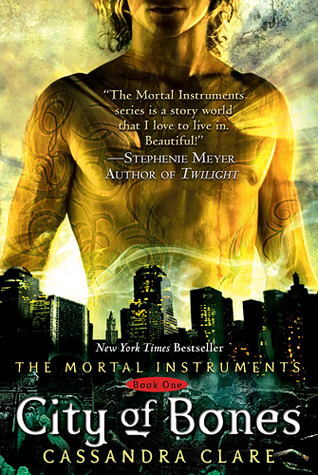 The Mortal Instruments world is one of my favorite fictional worlds. Shadowhunters hunt and kill demons with special weapons. The main character, Clary, is completely new to the Shadowhunter world. 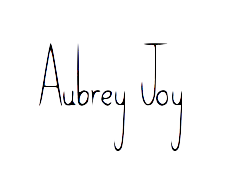 She knows nothing about it until three mysterious teenagers are seen by her Mundane eyes. She sees Jace Wayland and Alec and Isabelle Lightwood. The three Shadowhunters Clary sees are in an all age dance club, and then she sees them pull knives and daggers on a normal looking boy. She screams, but no one else can see them because of Glamour. You can only see through Glamour if you’re a Shadowhunter or a Downworlder or you have “the sight.” Hmm. Does Clary possess one of these traits? How can she see them? I love the Shadowhunter world. I’ve read this book three times now. I love the whole idea of it and I love everything about it in general. Jace Wayland. Jace is so perfect. He’s my book crush. He’s beautifully sarcastic and I love it. Clary Fray is the protagonist of this story and I love how curious about everything she is. I think it’s unrealistic that she would “get used to” the idea of Shadowhunters so easily. I know that I would freak out for more than a day. Alec and Isabelle are some of my favorite characters. Alec is so sassy and Isabelle is so fabulous. Cassandra Clare perfectly projected a sibling relationship. Magnus is one of my absolute favorite characters. I think I only love him because I’ve read the other books and I know what’s going to happen with him, but he’s so energetic and he doesn’t care what other people think of him. I would be Isabelle because she’s tall, which I am definitely not, and she’s beautiful and graceful. I would love to have Alec as a brother because he’s awesome and a genuinely nice person. Again, I’ve read this whole series so that’s how I already know that I love him. He and his sister are just loveable characters. In this first book, readers are introduced to the unfortunate Baudelaire children — 14-year-old Violet, 12-year-old Klaus, and their infant sister, Sunny — when they learn they’ve just been orphaned by a terrible house fire. The executor of the Baudelaire estate — a phlegm-plagued banker named Mr. Poe – sends the children to live with a distant relative: a conniving and dastardly villain named Count Olaf, who has designs on the Baudelaire fortune. Count Olaf uses the children as slave labor, provides horrid accommodations for them, and makes them cook huge meals for him and his acting troupe, a bunch of odd-looking, renegade good-for-nothings. When the children are commandeered to appear in Count Olaf’s new play, they grow suspicious and soon learn that the play is not the innocent performance it seems but rather a scheme cooked up by Olaf to help him gain control of the children’s millions. All this bad luck does provide for both great fun and great learning opportunities, however. Violet is a budding McGyver whose inventions help the children in their quest, Klaus possesses a great deal of book smarts, and Sunny — whose only real ability is an incredibly strong bite — provides moral support and frequent comedy relief. Then there are the many amusing word definitions, colloquialisms, clichés, hackneyed phrases, and other snippets of language provided by the narrator (a character in his own right) that can’t help but expand readers’ vocabularies. Though the Baudelaire children suffer myriad hardships and setbacks, in the end they do manage to outsmart and expose Olaf’s devious ways. But of course, with luck like theirs, it’s a given that Olaf will escape and return to torment them again some day. If only misery was always this much fun. Three siblings lose their home and parents to a huge fire. A neighbor brings the kids to their closest living family member, Count Olaf. The kids have never met Count Olaf and have no idea how they are related to him. Olaf doesn’t really care about the kids, he just wants the fortune that has been left to Violet. He treats the children like pests and he doesn’t actually want them as children. 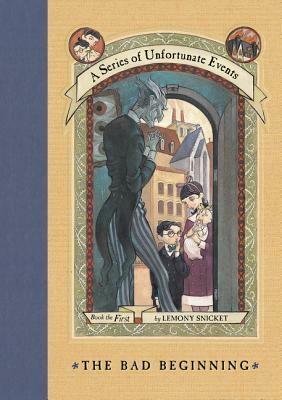 The three siblings, Violet, Klaus, and Sunny, meet the nice neighbor of Count Olaf, Justice Strauss. She has a big library filled with thousands of books ranging from huge law books to books about animals, which interest Klaus. The three have to participate in a play and Count Olaf has other plans for making the play very special. I liked this book, but it wasn’t my favorite. I definitely wish I would have read this when I was much younger. I still liked it, but it is for a much younger audience. Violet, Klause, and Sunny are the three siblings and they have very unfortune things happen to them. Violet is the oldest and loves anything with engineering and building things. Klaus is the middle child and he likes books of any kind in general, and Sunny is the infant who likes biting everything. These three peculiar children have very bad luck and have to live with Count Olaf. Count Olaf is a rude and odd-looking man. He doesn’t treat any of the three children right, but he takes an odd liking to Violet. I liked these characters but Violet and Klaus were my favorite. I would choose to be Klaus because he loves books and he likes learning things. I already love reading, so that wouldn’t even be a big change. Klaus is just a loveable character in general and I would love to have two sisters. I’ve always wished I had a sister, ad if I was Klaus I would have two. Nine kids are sent to Earth from the planet Lorien. These kids each have a guardian and a number. A curse is placed on all nine of them. The curse says they have to be killed in order according to number. Numbers one through three are dead… Number Four is next. I loved this story. The concept is so strange and the book is so wonderfully written. When I picked this book up I really had no idea what it was about except that there were nine kids and the main character was Number Four. I’m glad I knew nothing more about this story because I don’t think I would have enjoyed it as much as I did if I had known what it was about. I wouldn’t have been surprised by the premise of the story if I had know what it was about. I loved everything about this book, really. It was a super fun read, even though it did take me a while to finish. I’m a fast reader and it usually doesn’t take me longer than a couple days for me to finish a book. 400 pages isn’t very long for me. Overall, I’m so glad I picked this book up. Worth all the hype and I fully recommend it to anyone. 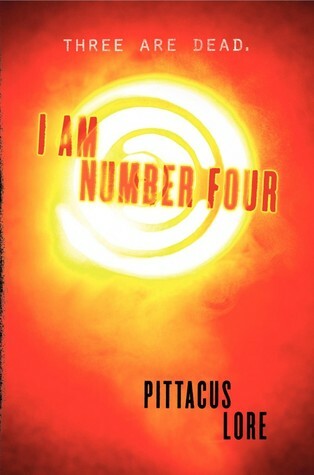 John is the main character in this book, he is Number Four. He and his guardian, Henri, move to Paradise. The two of them settle down there and John goes to school and meets some really great best friends. He meets a beautiful blonde girl named Sarah, and becomes best friends with the alien-obsessed nerd, Sam. John and Sarah like eachother and then continue to fall head over heels for one another. Their relationship is so adorable. I love the characters separately, but I love them even more together.